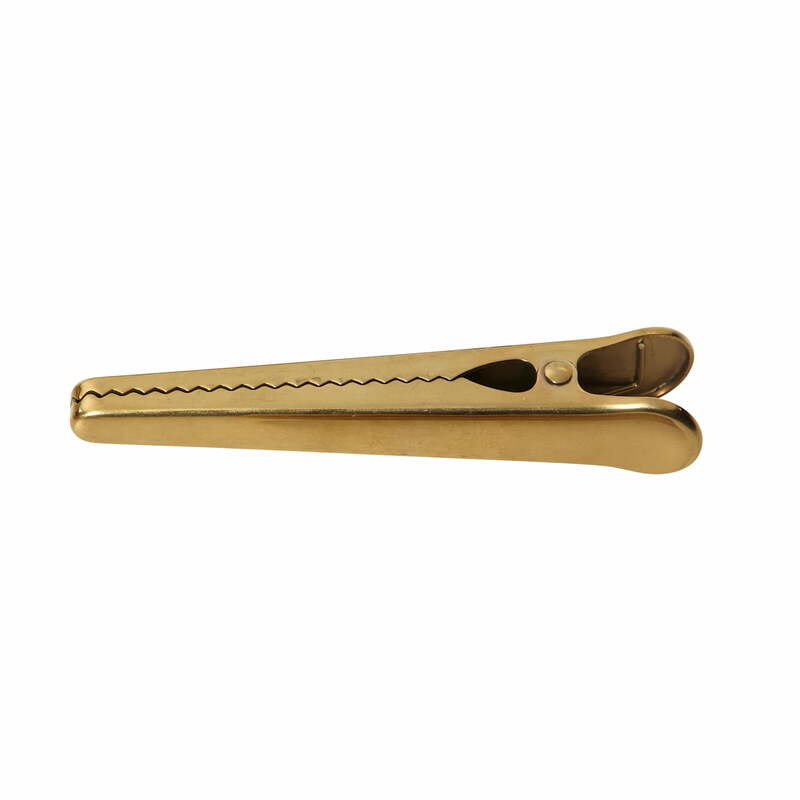 Simply press, release and it will hold safely – Clip Clip by Hay is a practical support with style. Sometimes it is about the small things of life. The Hay Clip Clip is such a case: Why should you only use clips out of plastic, if they don't suit the environment? The Hay Clip Clip fits in every place and it is a small, but gorgeous detail. Hay produces the versatile, brass-coloured clips out of stainless steel. 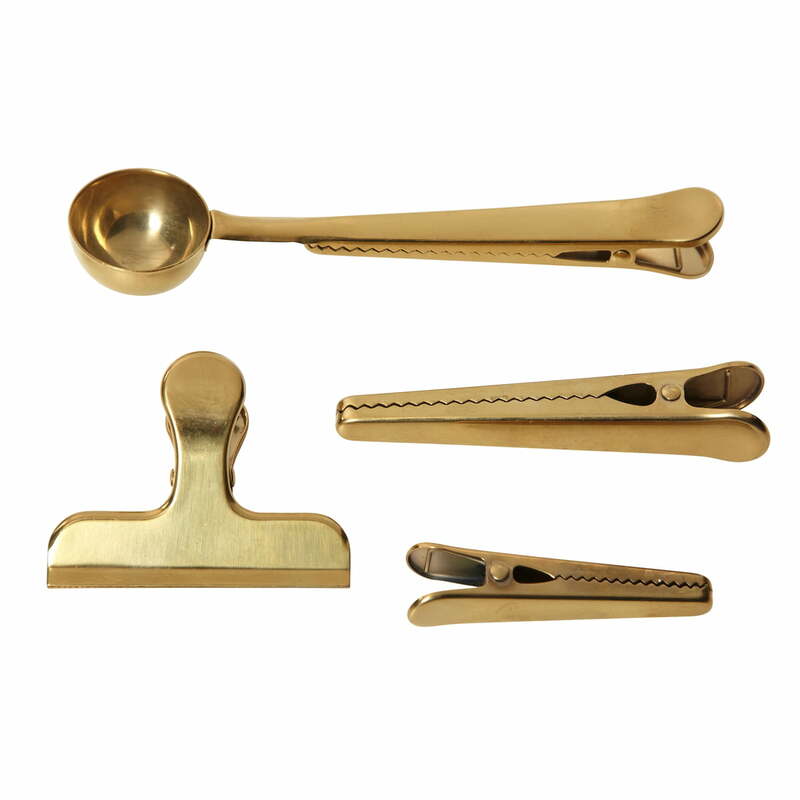 The Clip Clip collection includes four different models: Two of different lengths, as well as one wide clip with a handle in order to emphasize small special things such as postcards, notices or other objects. Furthermore there is a clip with a spoon at its end, which is practical if you wish to close tea or coffee packages, having a spoon near you in the moment you want to use it.